Famous British Football Clubs Series – Limited Edition Signed & Numbered Art Print – Available Now! Ryehill Football presents a unique perspective on some of the most famous clubs in British football. Teaming up with the finest artists in the UK we are producing a limited edition art print, signed and numbered by the artist themselves on a number of football clubs. First up is Sunderland AFC. It commemorates The Black Cats winning the football league in 1936 and shows local hero Raich Carter scoring at the Roker End. Each art print is A3 size 29.7 x 42 cm and the number of copies is limited to just 50 per club. They are sure to be highly prized not just by football fans but also by people who follow Sque and his iconic Roy Of The Rovers artwork. 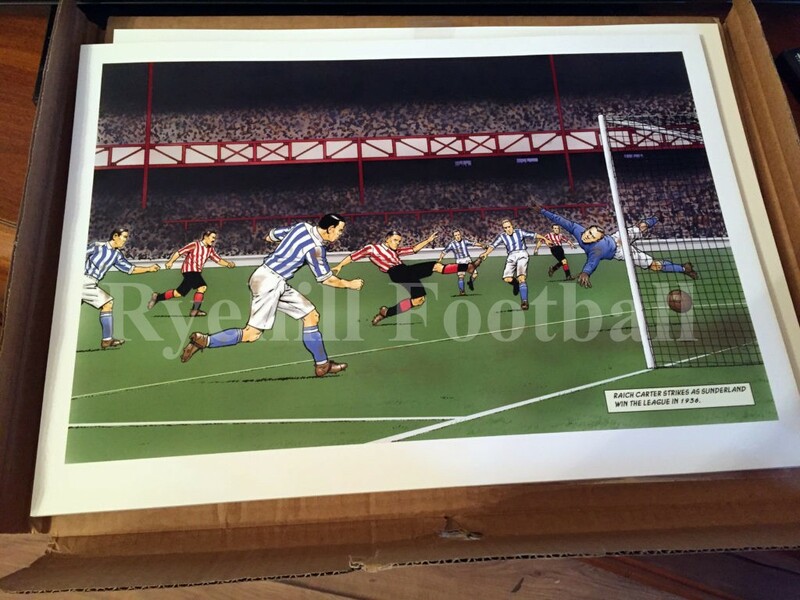 The final version is shown and clearly the “Ryehill Football” watermark is not on the Art Print that you will receive. Each Art Print has a label of authenticity on the reverse. They are produced on supreme and exclusive 350gsm silk paper. 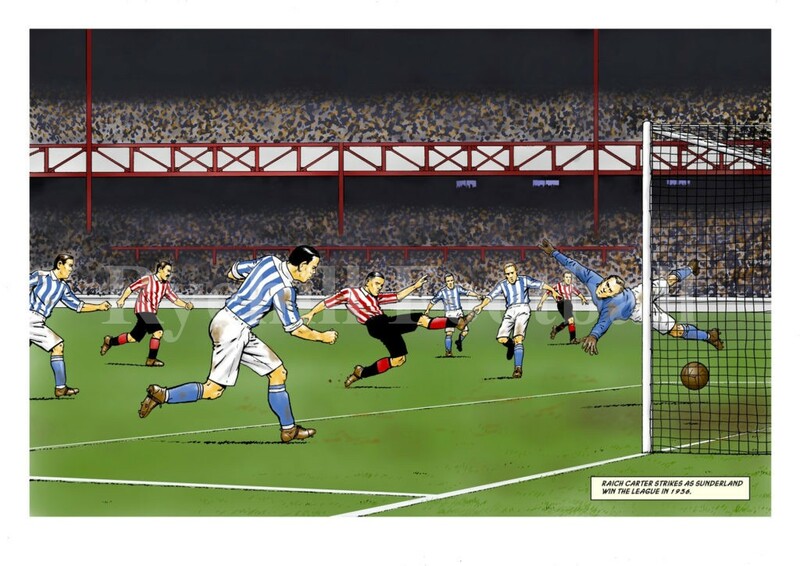 Thanks to Sunderland AFC for backing the project and purchasing copies of the Art Print. Totally unique, totally original and highly collectible. It would make a fabulous birthday present or gift for someone you know. For customers outside of the UK please e-mail foundingfathers@ryehillfootball.co.uk to confirm postage charges.